Alycia Adams (left) and Anna Wolak, students in mortuary science, stand in the restorative arts lab, with a few practice skulls. With her mom headed out the door to work that day, Adams was left in charge of disposing of the guinea pig, which the class had named Mr. Squeaky. “So I put him in a box, I decorated it, and like I said it was the summer, so I knew I had to get it out of the house,” she says. Looking back, she wishes she had put the guinea pig in the refrigerator. But as a youngster who didn’t know any better, she opted to put the box in covered grill on the patio. Every day, she checked back, to make sure Mr. Squeaky hadn’t been discovered by a raccoon. 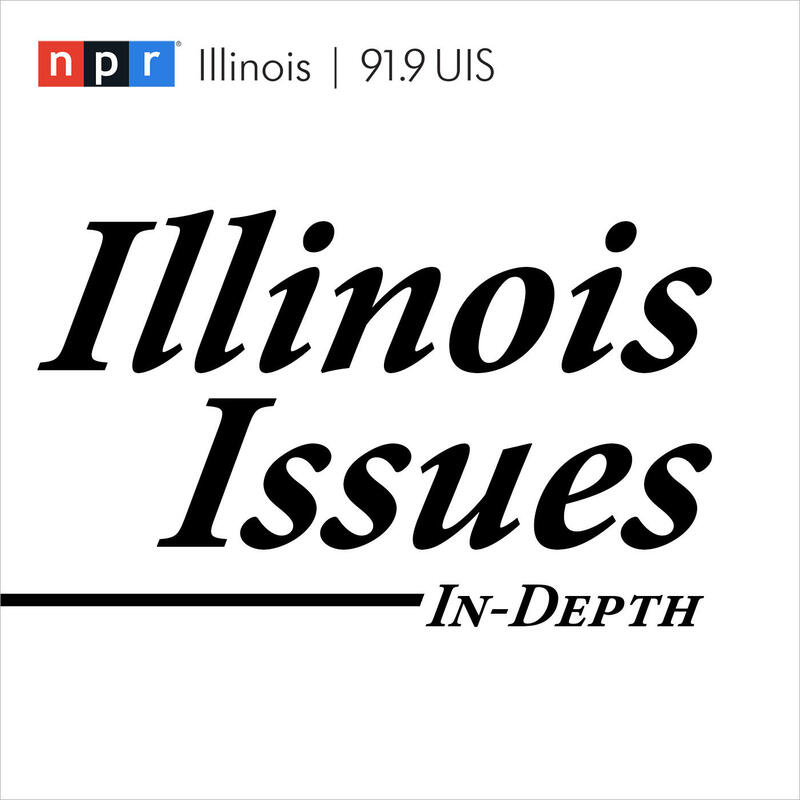 Adams is studying mortuary science at Malcolm X — one of only two community colleges in Illinois to offer such a degree (the other is Carl Sandburg College in Galesburg). It prepares students to work as a funeral director, manage a funeral home, embalm the dead, or — like many funeral service providers — do all three. Course requirements include accounting, anatomy, business law, embalming, ethics, funeral directing, merchandising, microbiology, psychology, restorative art, sociology, plus a capstone course to prepare for taking a board exam. The school’s dress code hints at the profession’s different demands: Most days, students wear lab coats over dark-colored dress-up clothes. On Thursdays, they wear scrubs for restorative art lab, and add long johns and spatter-proof gear when they have embalming lab at the Cook County morgue. Anna Wolak, another student, says it wasn’t always this way. Wolak moved to Chicago to attend art school, but got disillusioned and settled into the grind of creative day jobs in bookstores, coffee shops, record stores and restaurants. But in addition to her customer service gigs, one of her side hobbies was taxidermy. But she wasn’t especially interested in human specimen until a couple of years ago, when she made an emergency trip home to Pittsburgh. Her mother was providing hospice care for Wolak’s grandfather, who had dementia. His demise was hastened when he fell and hit his head. The night he died, a blizzard left the local roads impassable. Yet somehow, a pair of funeral directors made their way to the family home to collect her grandfather’s remains. One tiny gesture stood out. In that instant, Wolak knew what she wanted to do. 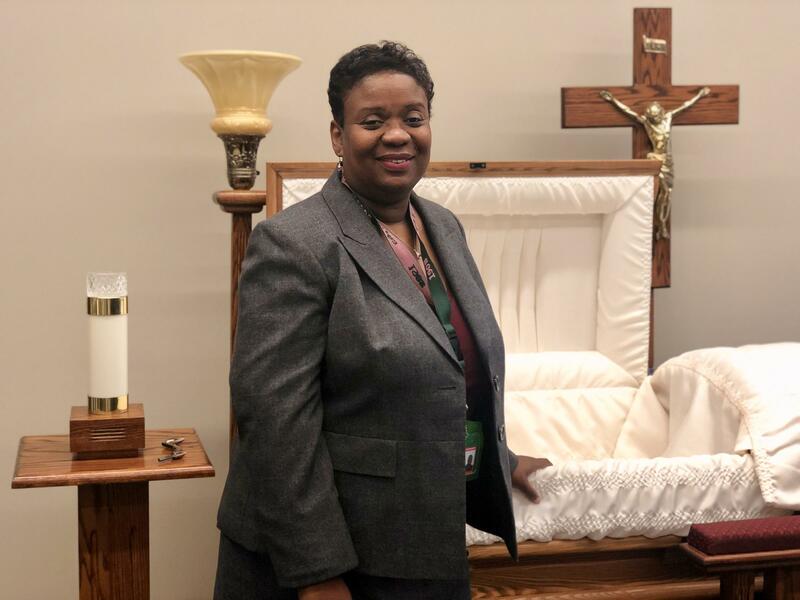 Karen Scott, a licensed funeral director for more than three decades, runs the program at Malcolm X, where more than 40 students are enrolled. She has a way of seeing what she calls “the scientific side” and the “event planning” side of the profession as just steps in the continuum of comfort. “Actually, if you think about it, it’s a body. It’s what we all are housed in,” she says. “You know, and you just basically take them and take care of their body. Because what you’re doing is, you’re giving that family some type of comfort. Adams’ after-school time is spent with her two children — Ty, age 7, and Victoria, age 4. She doesn’t tell them much about what she’s studying. Adams and Wolak are anomalies in the mortuary trade. Most funeral homes are family businesses, passed down from one generation to the next, so they aren’t sure they’ll get to work in their chosen profession. Just in case, Adams plans to get her bachelor’s at Southern Illinois University, with a minor in forensics, while Wolak is considering further studies in thanatology. Which course required for a mortuary science degree is the most difficult? Do you learn about newer burial options, that don't involve traditional caskets? What kind of funeral would you want to have?